Airwheel electric self-balancing scooter brings you a thrilling ride. 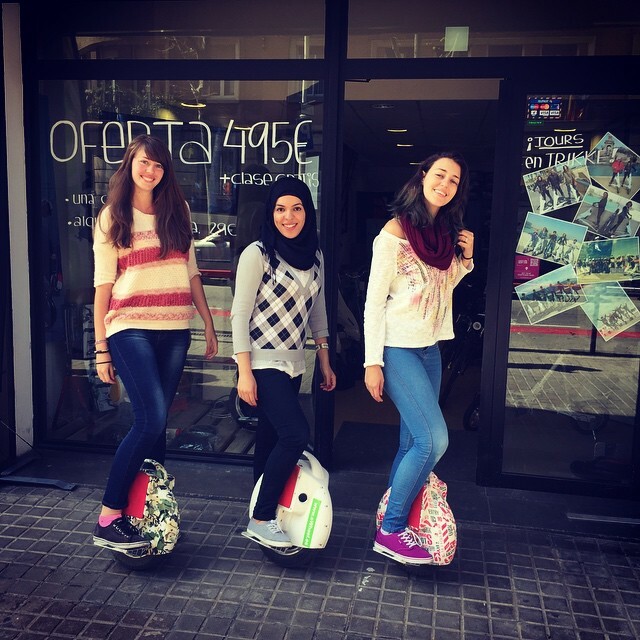 Abstract: Lately, one type of electric self-balancing scooter by Airwheel has caught on among the office commuters. A good many of office commuters swoon over it. Airwheel electric self-balancing scooter is powered by Sony battery that holds a large capacity of power. In addition, Airwheel electric self-balancing scooter is safe while cycling with the help of the low battery protection and speeding limit alike. As the society develops, people have a rich selection of transportation. Lately, one type of electric self-balancing scooter by Airwheel has caught on among the office commuters. What do these office commuters see in this kind of electric scooter? Hereby, we are to dig into its allures. For one thing, we will fall to introducing Airwheel electric unicycle Q5. In comparison with other transporters, it is outfitted with the twin-wheeled architecture. While steering it, riders only need to standing on the two pedals. With the movement of body, Q5 will roll in the accordingly direction. Apart from as a transporter, it serves as an amusement alike. The second model to come up is Airwheel unicycle X8, which owns a potent power with a long range of 20 km and carries a heavy weight of 120 kg. It maxes out 18 km/h, sufficiently serving the purpose of excursions. The big hub enables X8 to zoom about steadily. It is small to carry. On that account, you will warm to it. The last one is the intelligent self-balancing scooter S3. It is by no means a unicycle, but a two-wheeled scooter. It is quite sturdy and stylish. Made of hi-tech materials, it weighs light. The weight of 22.4 kg is no effort to carry. Airwheel electric self-balancing scooter comes as a blessing to those who are frequently plagued by traffic congestion. Airwheel is high-quality and –performance, living up to different expectations. Previous：A new culture symbol of street-Airwheel electric unicycle-appears.